How do I assign Diagnostic Recommendations? Once your students complete the diagnostic, Quill generates up to eight weeks of recommended activities based on individual performance. Select "View Independent practice." 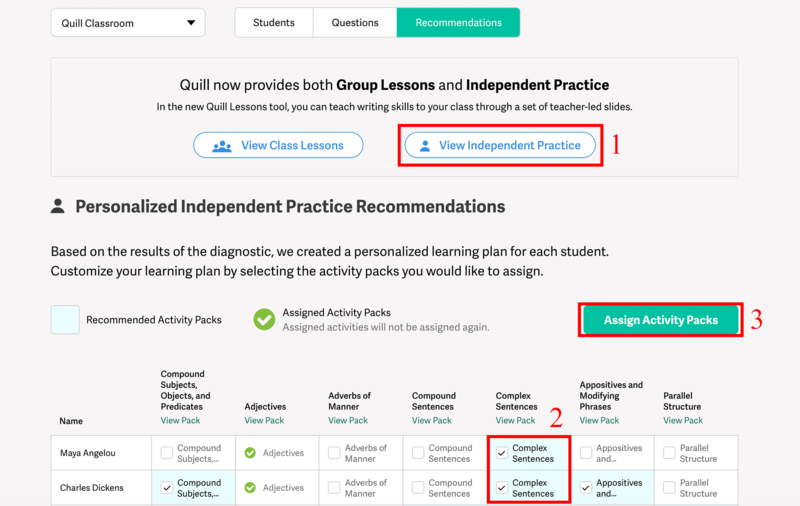 Quill automatically checks the boxes next to the activity packs that we recommend for each student. The green checks indicate that the activity pack has been assigned.